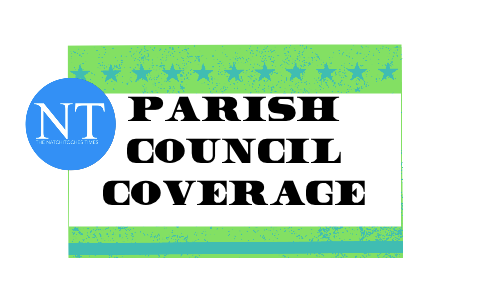 The Parish Council passed ordinances at its meeting Monday that created four road maintenance districts to be funded by property taxes if approved by the voters. The districts include the rural parts of the parish with the exception of Campti. They also exclude the city. The council will meet in August to decide what millage to put before the voters. The tax will probably be 10 mills that will generate just over $2 million annually for the highway department. Taxes generated will be spent within that district for road maintenance and bridges. Although it was not part of the ordinance, the proposal discussed at past meetings included creating a commission within each district to prioritize the maintenance. Although the propositions could be on the ballot in December, the taxes would be collected during 2019 and not be available for projects until 2020. The $1 million generated annually by the Road District 40 tax will continue to be spent throughout the parish. Parish President Rick Nowlin said that approximately half of the property owners in the parish will not pay the taxes since they fall under Homestead Exemption. Council member Chris Paige cast the only dissenting vote. here are other problems at the building including an inadequate parking lot. The question is whether Parish Government should seek to renew the grant or let someone else take over the program. Nowlin said the grant pays $2.3 million per year for five years. To seek renewal of the grant would require about 100 man hours of Parish employees plus a $20,000 consulting fee. Council member Rodney Bedgood said he thought the School Board had expressed an interest is taking over the program. Paige favored keeping the program and exploring building a new center on three acres of Parish Council property at the corner of Trudeau and MLK Drive. Paige said the federal government would determine who would run the program. Nowlin said Paige’s points were well taken and Head Start Director Chrishell Metoyer would continue to seek federal and grant funding. Metoyer presented highlights of the program that had 85 percent attendance except during flu season. The Lions Club will conduct vision screening and the Natchitoches Out Patient Medical Center will conduct dental screening, both at no cost. The NSU Children and Family Network is providing free training for employees, also at no cost. By a vote of three to two, the council approved a raise for Parish Clerk Sheryl Frederick. She received a 4 percent COLA raise in January that boosted her salary to $42,848. The motion Monday approved a $321 per month raise giving Frederick an annual salary of $46,704. Council members Russell Rachal and Doug deGraffenried voted no. Nowlin said he had advertised for a part-time receptionist and received 30 applications. Council member Pat Ward-Hoover questioned the need for the new employee. Nowlin said in 2013 he eliminated the a full-time receptionist job and had done without for five years with the executive assistant helping with those duties. But now there is a backlog of work for the executive assistant and Nowlin plans to use $3,500 in the general fund budget to pay for the part-time position until the end of the year. He hopes to make it a full-time job. One budget item of interest was that Parish Government paid $21,000 in legal fees to defend a suit filed by the Natchitoches Voters and Civil League over the dismissal of the previous Head Start director. The suit was dismissed by the court and the league did not appeal the decision. Other action by the council approved a budget revision for the handicap ramp and bathroom renovation. There was $100,000 budgeted with the bid coming in at $120,000. Nowlin said the architect had revised the plans to get the project within the budgeted amount. The ramp will cost $70,000 and bathroom renovations $30,000. The council voted to return the Sandy Grove Community Center property to the Shady Grove Missionary Baptist church since the community center is inactive. The council reduced the speed limit on Clark Loop road to 15 mph. It also authorized Nowlin to execute a quit claim deed on property on Fourth Street purchased by the Sheriff’s Office. The quit claim was necessary since the former Police Jury did not record the sale the property to the Coordinating and Development Council that then sold it to the Sheriff’s Office.